After you attend a group information session, the next step is to meet with a member of the Admissions and Access team. You must attend this meeting to be considered for admissions. 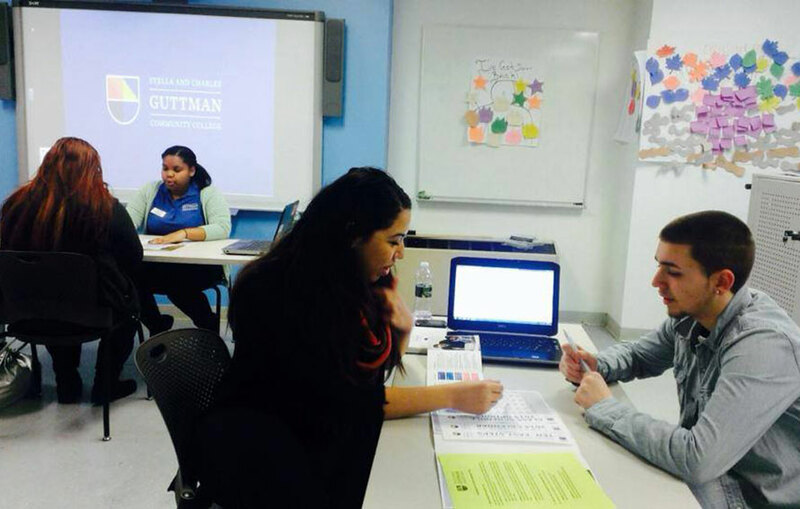 The individual meeting is designed to help you make a better informed college decision regarding your journey in starting at Guttman. We will invite you to register for an individual meeting after you attend a group information session. If you have already attended a group information session but have not scheduled an individual meeting or have missed your scheduled appointment, please call our office at (646) 313-8010 or email us at admissions@guttman.cuny.edu. As a reminder, you can track your progress on your GrizzlyPath. As you satisfy requirements, your checklist will be updated.